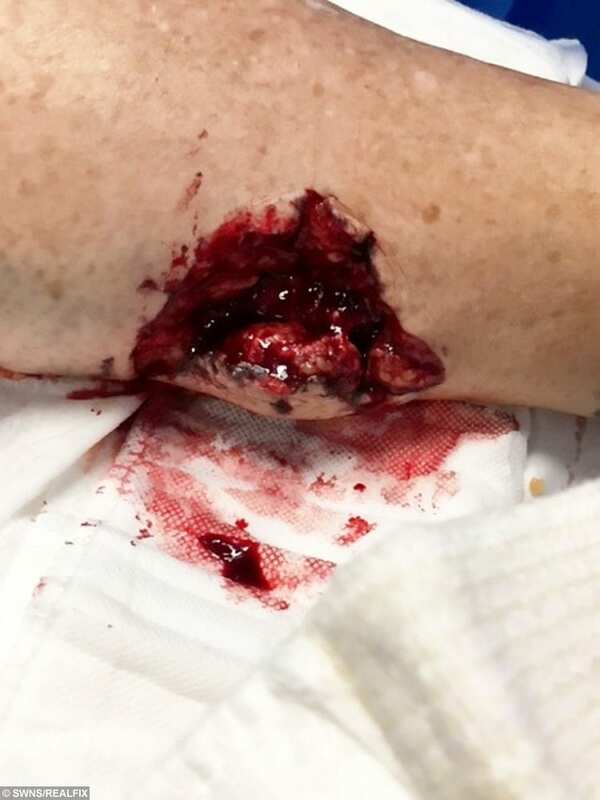 A grandma is lucky to be alive after she was savagely mauled by a Staffie-type dog – which bit her leg ‘down to the BONE’. 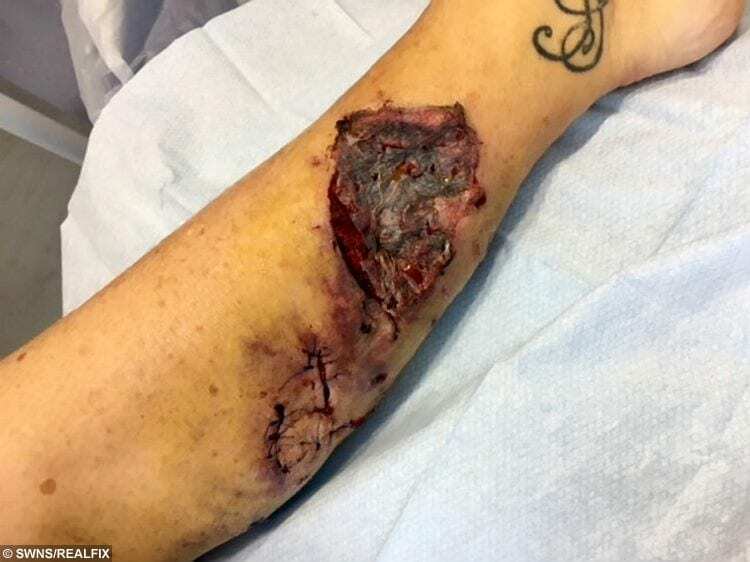 Theresa Anderson, 65, was left with life-changing injuries to her lower left leg as surgeons battled to save her limb. 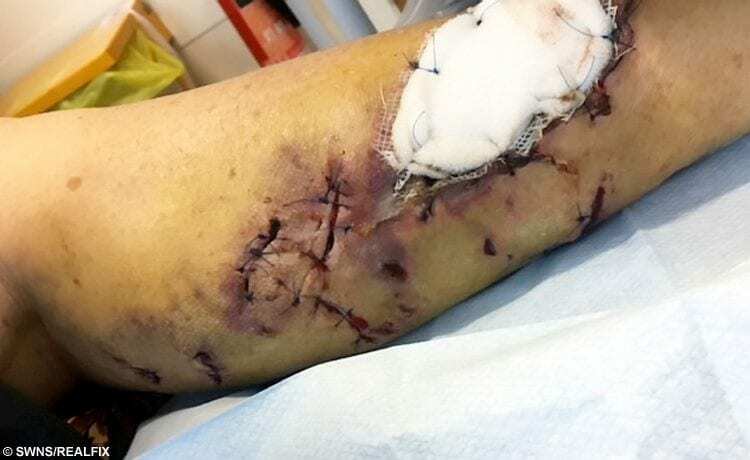 The married grandmother-of-17 had been walking up a flight of stairs to her son’s flat in Barrow, Cumbria, when she was maimed by the hound on Wednesday, August 22. The animal dragged her from the steps as she tried to free herself – and it was all witnessed by her terrified grandchildren from her car. “Every time I close my eyes I hear and see it [the dog]” Theresa said. Theresa, a retired cafe owner, said: “It was all a blur – I just can’t believe it. “I’m just glad it wasn’t my grandchildren, they’re only small, and the youngest would have been killed. “I thought oh my god this is it isn’t it, but luckily Zak had realised what had happened and made sure his little sister couldn’t see. The ambulance took her to Furness General hospital before being moved to Royal Preston Hospital, Lancs. 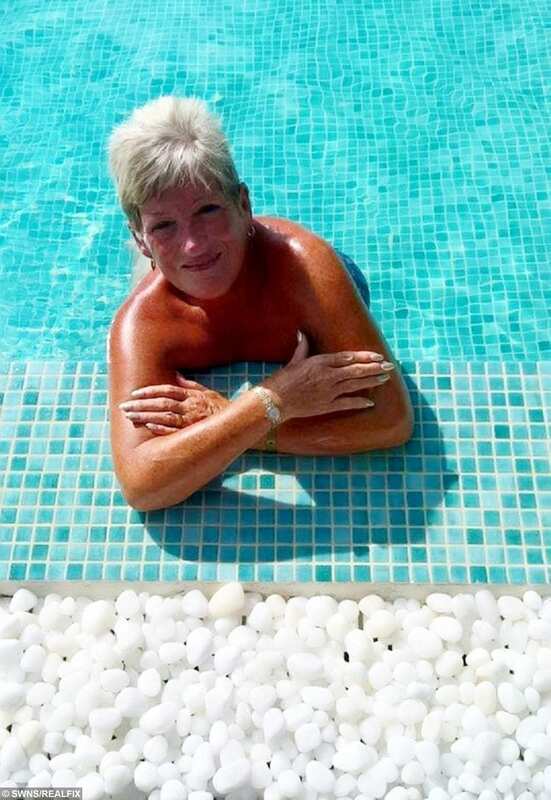 She has been told she might not be able to walk properly – and to top it off she is unable to go on her pre-booked Maldives holiday for three weeks this month. Theresa, who is a dog-lover and grew up with Alsatians and Dobermans, added: “You don’t get ‘dangerous dogs’ you just get bad owners,” she added.